The Conservation Center is fortunate to have many specialists with a wide variety of backgrounds working under one roof. This allows our conservators to come together frequently to analyze complex pieces and collaborate on treatments. 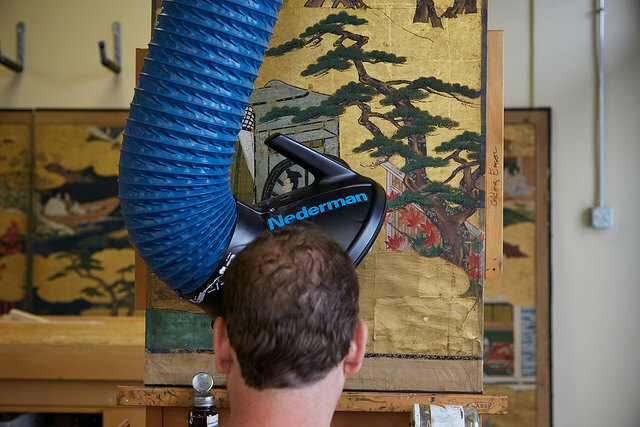 This is especially useful when it comes to treating challenging, multi-faceted pieces like large antique screens, which often require not only the expertise of The Center’s furniture and object conservators, but also the expertise of The Center’s gilders and paper conservators. These collaborations, which are often completed in multiple campaigns, require each party involved to dedicate hours to meticulous, step-by-step treatments. One such screen, which was recently completed by The Center’s team, demonstrates how valuable these types of collaborations can be. Removing the overpainting revealed a heavily abraded surface with losses and evidence of previous repairs. To begin the next phase of treatment, The Center’s Paper Department began reducing distortion and stabilizing select areas. Passages were consolidated, tears were repaired, and the silk margin and paper supports were stabilized and secured. The team was then able to remove previous repair and fill attempts or improve upon them where need be, and to address the overall support for the panels. 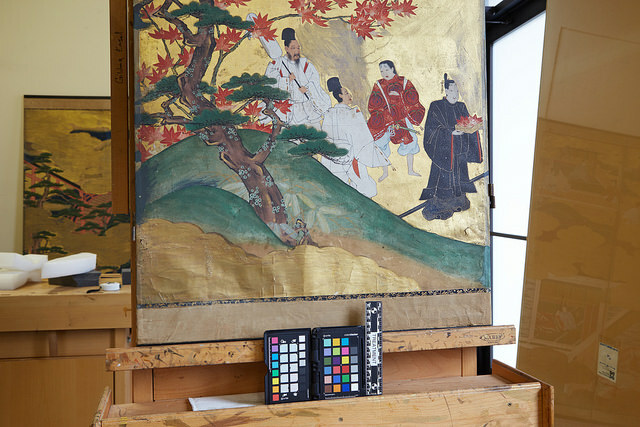 In the most recent campaign of conservation, large areas of gesso and gilding losses were filled an ingilded, and abrasions were inpainted to emulate the surrounding surface. 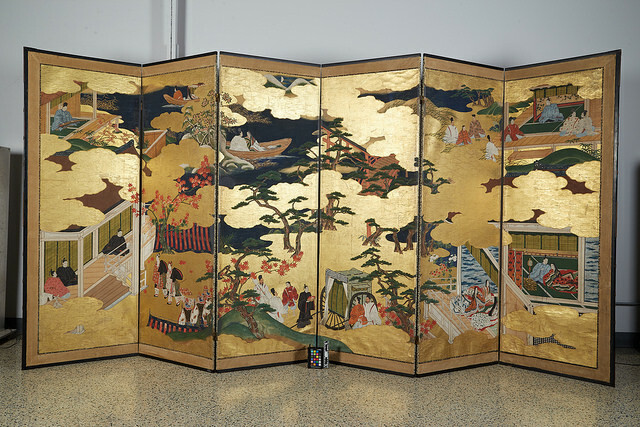 The gilded areas were then integrated into the overall surface at our Gilding Department’s discretion, and the screen was re-installed into its frame. To wrap up the project, the piece was delivered and installed at our client's home by The Center’s shipping team. Projects like these prove that often times two heads (or in this case, even three or more) are better than one, and that through careful, patient collaboration, pieces can be preserved for generations to come.